Ska made a welcome comeback at Davey’s Friday night. From the looks of the almost-packed house, you’d have thought it never went away. 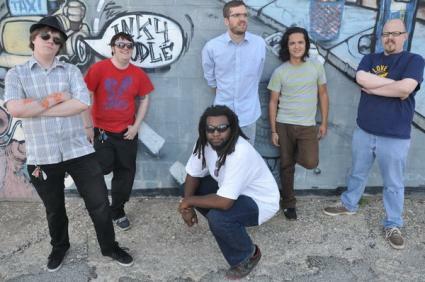 Unfortunately, I missed openers The Uncouth, but arrived just as Kansas City ska group The New Riddim took the stage. The band was promoting the release of its debut CD, Kidnapped, and the mood was celebratory. The band tore through its rocksteady set with a well-rehearsed yet loose vibe. 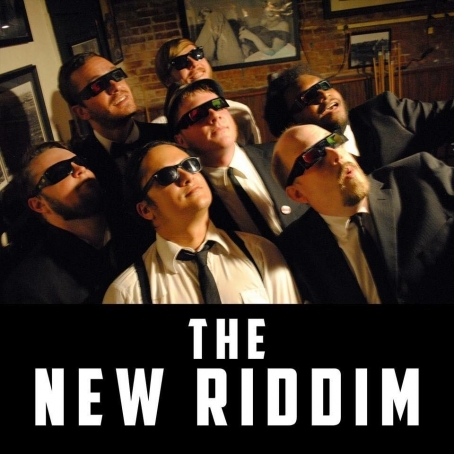 The New Riddim doesn’t play the ska-punk of the ’90s (Less Than Jake, Reel Big Fish), but rather an older, more soulful, less frantic style that owes as much to Jamaica as it does the Motown era of the late ’60s. Caribbean rhythms meet multipart harmonies in The New Riddim’s crossover tribute to this oft-misunderstood genre. Fans of The Slackers and Hepcat would enjoy a set by this homegrown outfit. The band attacked the crowd with selections from its new CD and was careful to pepper in slower, more reggae-sounding numbers with upbeat tracks. Though boasting multiple vocalists—the horn players give lead singer/organist Daniel Loftus a break now and then—the band broke up the set with the occasional instrumental jam. A couple selections seemed to get overly complicated, but you could tell the act enjoys pushing the limits of a style that seems deceptively simple. And those in the crowd, many of whom were there to support their friends onstage, didn’t seem to mind. They danced (a few even skanked!) to the bitter end and cried for more, but The New Riddim knows to quit while it’s ahead. I was impressed that the band didn’t go for one more; the temptation to do so must have been intense. Well done, fellas! They set up the house perfectly for headliners Deal’s Gone Bad. This Chicago act’s annual shows at Davey’s are always a dance party, and this was no exception. I was impressed that most in the crowd made their way back in as soon as the band hit the stage. Similar to The New Riddim, Deal’s Gone Bad takes its cues from classic Jamaican ska via Motown, but the group takes the “stax of wax” idea to a whole new level. Rather than vamping on instrumental ska jams, Deal’s Gone Bad sticks to a 7-inch ethos. Its songs are road tested and efficient. You get a helluva bang from each tune, and usually in about three minutes. We barely had time to catch our breath as the band blasted through its set. Deal’s Gone Bad’s last full length was 2007’s The Ramblers, but it hasn’t tired of playing fan favorites from that LP. The crowd sang along, and sometimes failed miserably, which resulted in a hilarious scolding from lead vocalist Todd Hembrook. The highlight of the set was the rocksteady take on Otis Redding’s “These Arms of Mine” from last year’s vinyl single. The group’s homage plays genuine rather than clever, and ripped the hearts out of the crowd, which hung on Hembrook’s every shredded word. The band finished its set, then returned for a short three-song encore and said good night to the sweaty, dance-weary revelers. The audience probably could have gone on, but like The New Riddim, Deal’s Gone Bad is a group of professionals. Always leave ’em wanting more. Steven is guitarist and vocalist for Kansas City power pop trio Deco Auto. He also makes a deliciously angry salsa.